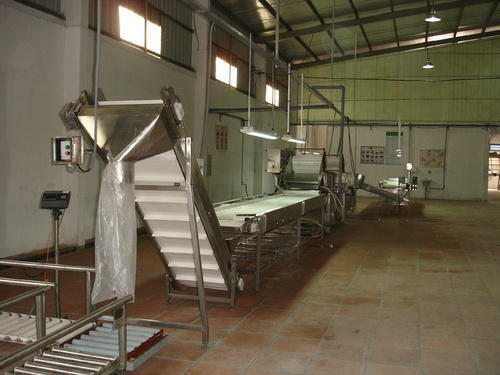 Our range of products include vibratory feeder, gherkin twin type pre culling belt conveyor, packing elevator, vegetables & fruits washing machine, dry culling inspection belt conveyor and sorting grading culling belt conveyor. We are into offering a wide range of Vibratory Feeder which is widely demanded by the clients for their availability in different specifications. Highly acclaimed these Vibratory Sifter are widely demanded all across the world for their precise use. Moreover, to meet the needs and requirements of the clients we test the quality of these products rigorously. 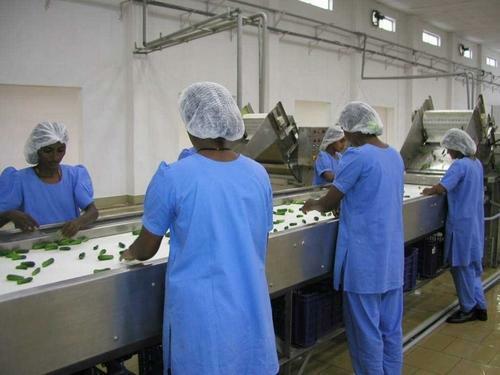 Mainly used to remove foreign material, grading of fruit, vegetable and other products as per the customer requirment. Available in SS 304 & SS 316 grade.Mainly used to remove hair,jute,threads,papers,dust particals from the fruit and vegetables on processing line. As per the variegated requirements of our clients, we are offering a broad collection of Gherkin Twin Type Pre Culling Belt Conveyor. This conveyor is designed and manufactured using excellent quality raw material and latest technology by our skilled professionals. In order to ensure quality, offered conveyor is stringently tested on various parameters by our experts. 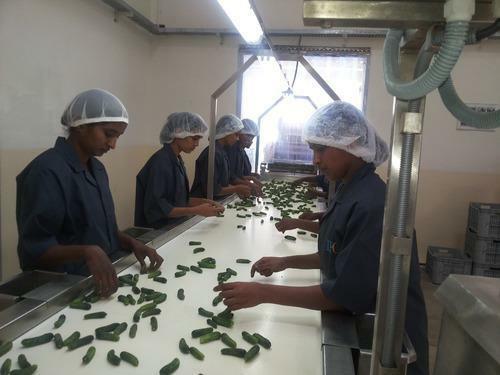 The machine offered by us is mainly used for culling & removing of crooked, rotten and Non Graded Gherkins after thorough wash. Apart from this, remarkable quality and sturdy structure increase the demand of our offered range in the market. Sujay Industries offer packing elevator for packing Gherkin in to drum online without much Manual Intervention. 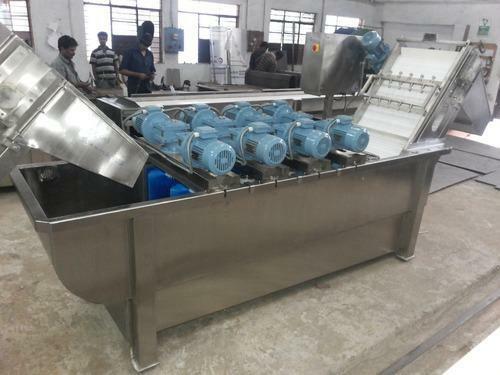 It has good & Excellence features for online feeding of the empty drum, filling the gherkin in to drum, weighing to specific weight and filled drums are to be moved to the storage place without much Manual Intervention. We have emerged as a leading organization, engaged in offering superior quality Brush Washing Machine. 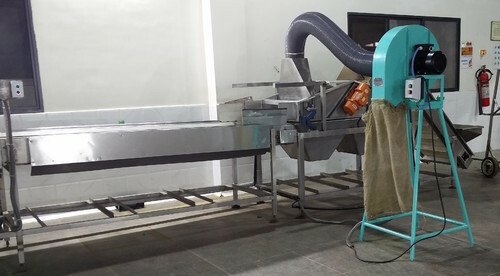 It is mainly used for thorough washing of Gherkin, vegetables and Fruits online to the food quality grade without damaging the product. It has 8-sided brushes and 8 rotary brushes which makes washing effective. After thorough wash the pickup elevator picks up the fruits or vegetables to expose them to the sprayer for additional washing and convey to next operational machine. We manufacture this machine by making use of high-grade raw material and high-end technology so as to maintain the set industry standards. It is unique and has got more advantage in cleaning the washing tank to maintain the hygienic standard. To make a flawless dispatch from our end, our offered machine is rigorously inspected by our quality inspectors against various parameters. This machine is broadly acknowledged by our clients for its light weight and sturdiness. We offer good quality and high accuracy belt conveyor of special type of culling online. 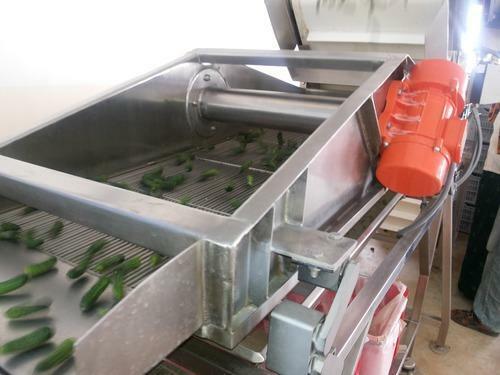 It is mainly used for culling and removing of rotten, borer, crooked from online for Segregating Non graded Gherkins. Chutes are provided on both sidesof the conveyor for easy removal of unwanted and collecting them separately in the crate as shown in the photographs. As per the variegated requirements of our clients, we are offering a broad collection of Sorting Grading Culling Belt Conveyor. This conveyor is designed and manufactured using excellent quality raw material and latest technology by our skilled professionals. In order to ensure quality, offered conveyor is stringently tested on various parameters by our experts. 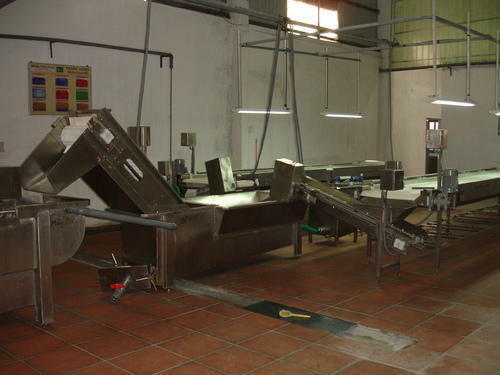 The machine offered by us is mainly used for culling & removing of crooked, rotten and Non Graded Gherkins after thorough wash. Apart from this, remarkable quality and sturdy structure increase the demand of our offered range in the market. Sujay Industries offers wide range of Drum or Barrel Packing Elevator for packing Gherkin in to drum or barrel online without much Manual Intervention. Backed with the team of adroit professionals and sophisticated techniques, we are engaged in offering a wide gamut of Vibratory Feeder Shaker. mainly used in Gherkin processing,food and breverage industry to screenout all forign particals, seregation, grading, de-watering etc,. The offered range is enormously used for perfect screening of sand, gravels, stone and other bulk material. The offered Vibratory Feeder Shaker is designed and fabricated by our team of dexterous technician and engineers with the help of advanced technology and components in compliance with the set international standards. We have marked a distinct and dynamic position in the market by providing a high quality array of Soaking Tank with Elevator. 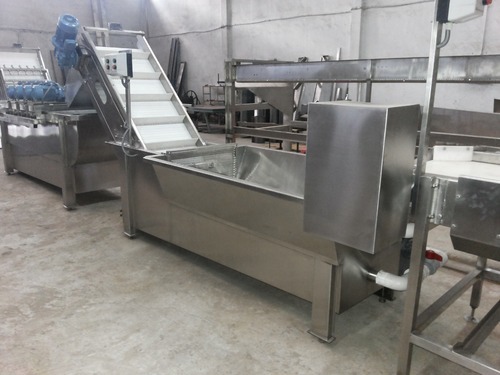 It is mainly used for Pre-washing or soaking of Gherkin, Fruit, Vegetable with high pressure water agitation to remove the foreign particles, dirt, powder, sand, mud etc. Our offered tank is available in a variety of sizes, dimensions and other such specifications to choose from. The offered tank is precisely designed at our highly advanced manufacturing unit following industry defined guidelines. The offered tank can also be availed from us at the industry leading prices. 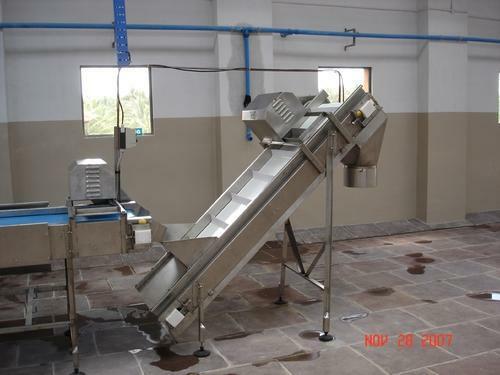 Looking for “Gherkin Bulk Line Processing Machinery Equipment”?